5/4/13: Mingle Media TV Network – Video Interview with Suju Vijayan and Mike Blum on opening night of The LA Asian Pacific Film Festival. 4/10/13: 90.5 KSJS – StrongArm Review + Navi Rawat named one of top 5 actresses + Piyush Mishra named one of top 5 actors! 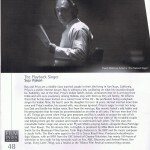 3/13/13: Malibu Surfside News – Interview and article about Navi Rawat with several mentions of The Playback Singer. 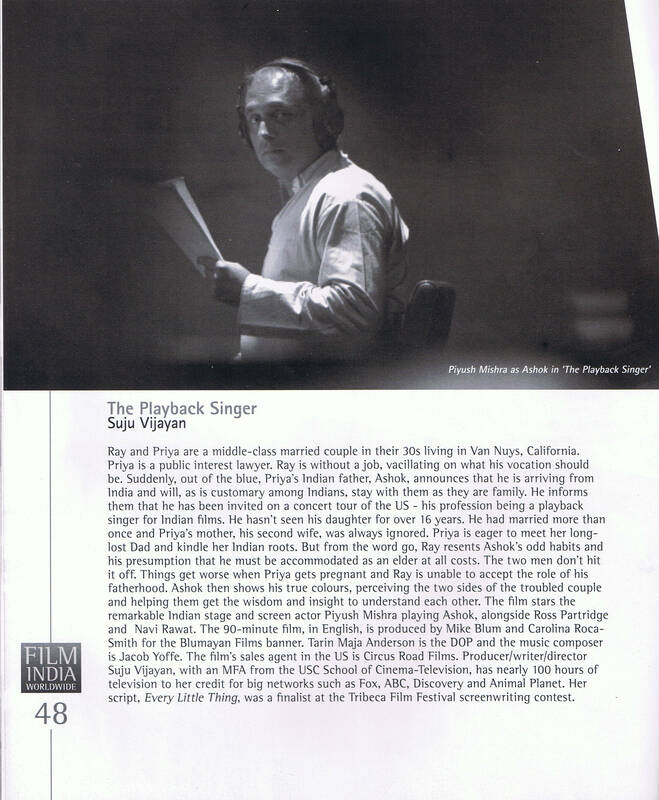 3/11/13: Winner: New Visions Award @ Cinequest – The Playback Singer wins the top prize. 3/5/13: Stark Insider – Navi Rawat’s interview with Loni Stark at Cinequest. 3/1/13: IndiaWest – in depth interview with Navi Rawat and Suju Vijayan and nice write up. 2/19/13: IndiaWest – Nice image from film and write up as part of Cinequest coverage. January, 2013: Film India Worldwide – Preview article from India’s preeminent film magazine.